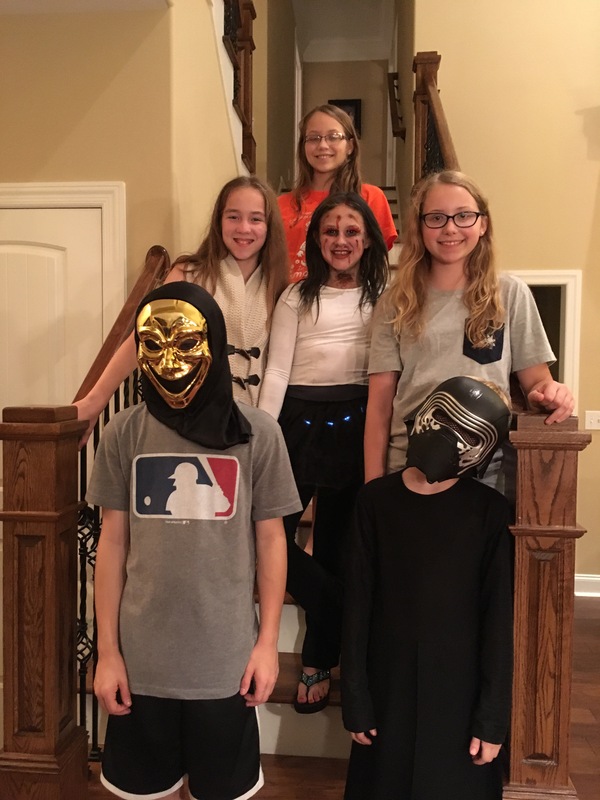 We enjoyed a wonderful Halloween evening. Even though it was 85 degrees, we still had our annual chili dinner. I was not sure if the kids were going to go trick or treating, but Jackson was ready to go. They all had a fun time with with their friends.